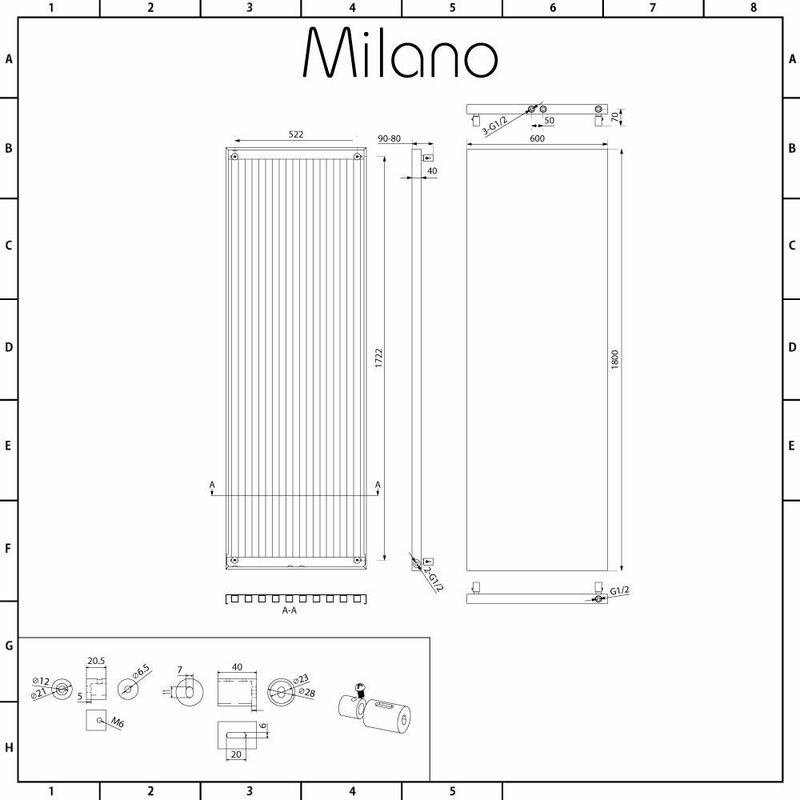 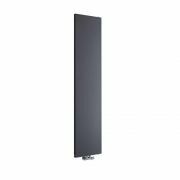 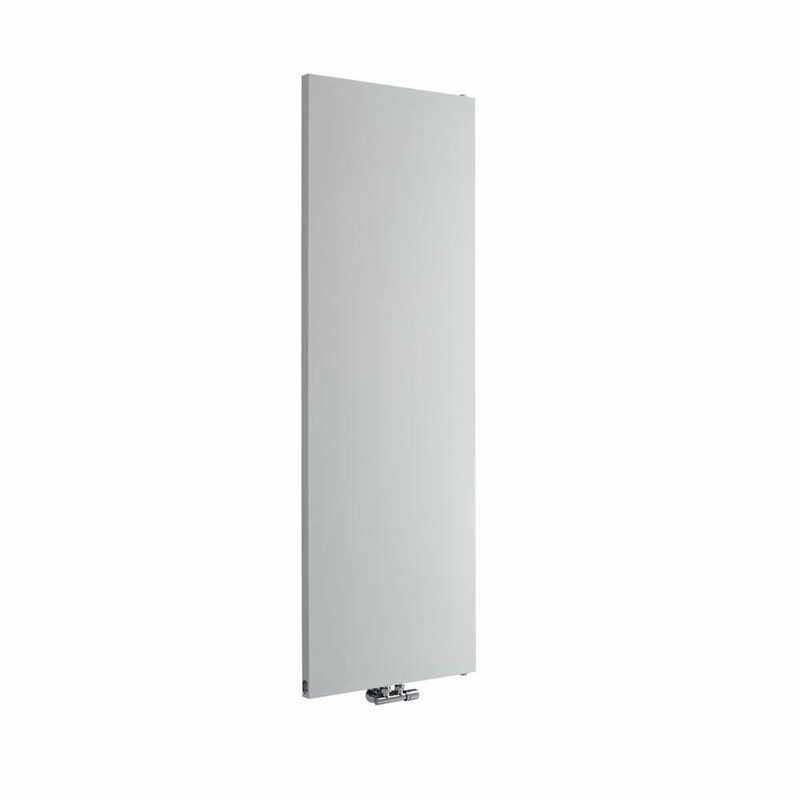 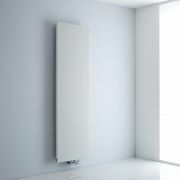 The Milano Riso 1800mm x 600mm white flat panel vertical radiator is the perfect choice for adding contemporary style to any room in your home. 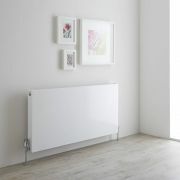 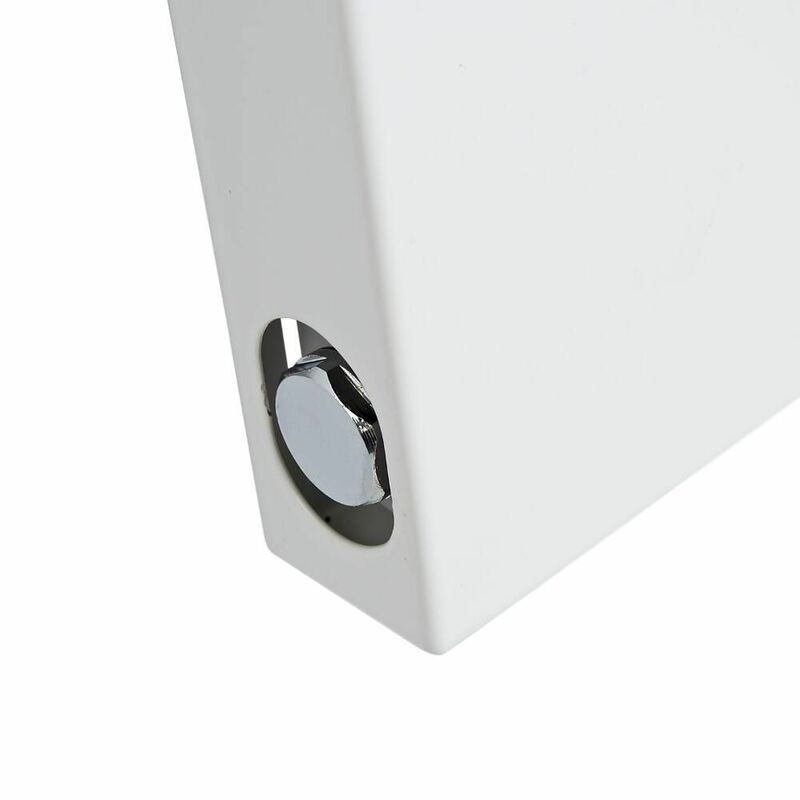 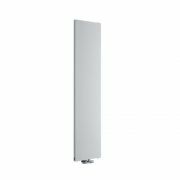 Featuring a sleek flat panel for a minimal look and a high-quality white powder coated finish that teams well with any decor, the Riso radiator has been made from premium quality steel for guaranteed durability. 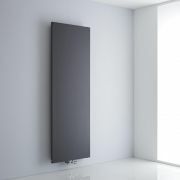 It boasts an excellent heat output to ensure your room is quickly transformed into a warm and inviting space. 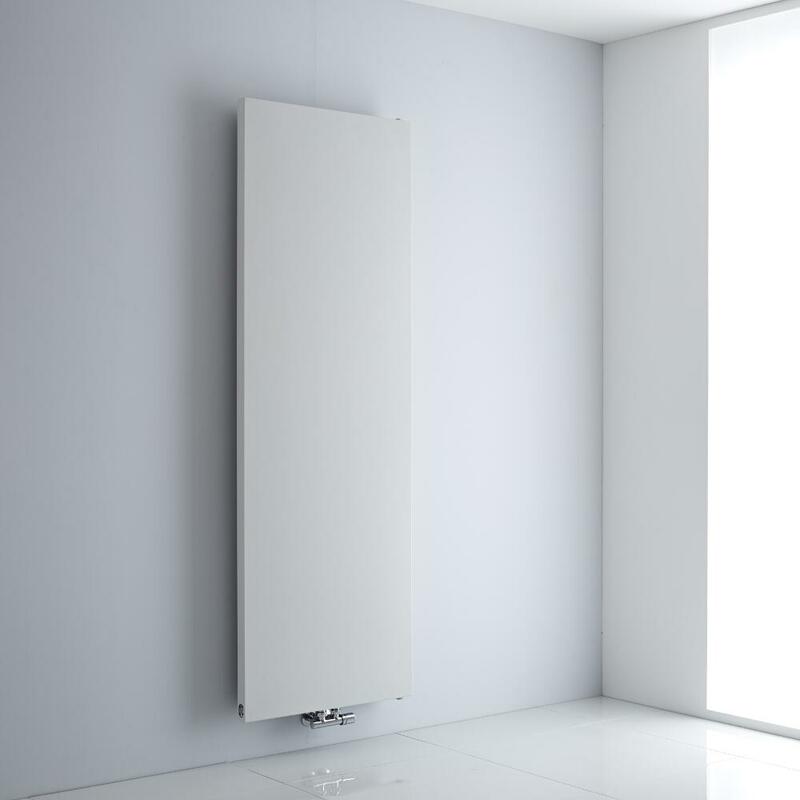 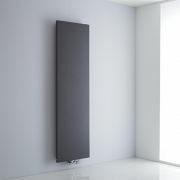 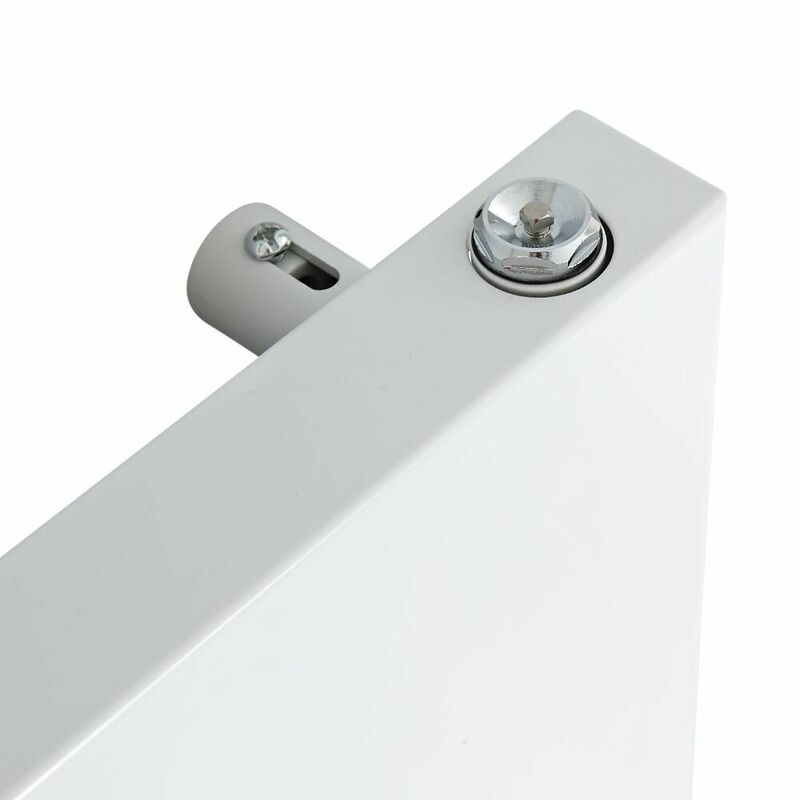 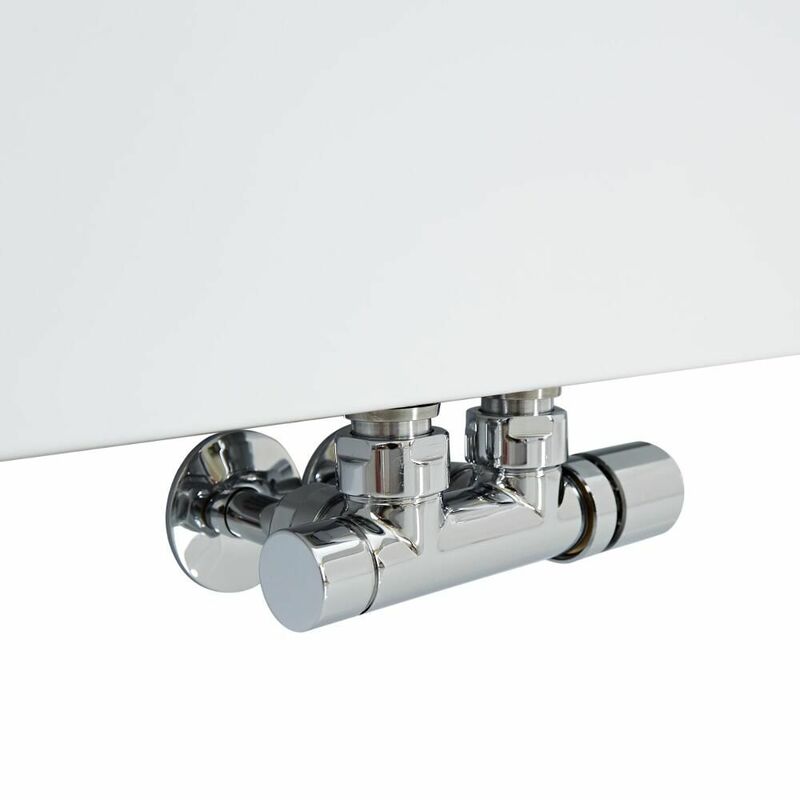 The designer radiator has central valve inlets to help save space, and it can be used as an electric and dual fuel radiator with the addition of a heating element. 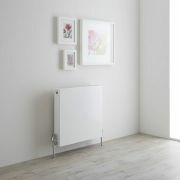 Please note: valves and heating element not included.